So the time has come for one of my children to start looking for a college. This means lots of traveling around to visit schools and, as we all know, any college town worth its salt is going to have a record store or two. In the spirit of carpe diem, I will do my best whenever possible to incorporate a pilgrimage to a music den on these treks. So far, so good, as we did our first tour today, at the most excellent Williams College, and I was able to include a visit to Toonerville Trolley Records after lunch (and ice cream from Lickity Split, of course!). Toonerville is a lived-in store, packed with more vinyl and CD's than could easily be reviewed in one visit. Most everything is priced between $8 and $15, with several sale sections that are cheaper and some unusual finds that are pricier. Their personal taste was evident from the get-go, with sections for Progressive Rock, Space Rock, and "Unclassifiable" right up front. The free jazz blaring from the great sound system was also a clue. I wandered around a little to get the feel of the place, flipping here and there, seeing what would pull me in. I eventually was moved to search very comprehensively through the jazz section, hoping at the very least to find a copy of El Chico by Chico Hamilton, which is much desired by my Off Your Radar colleague Davy Jones. No luck, Davy, but I did manage to score a very nice original pressing of John McLaughlin's Devotion. Who knew Alan Douglas had his own label? This is from 1970, when McLaughlin had just left Miles Davis but hadn't formed yet Mahavishnu Orchestra. It was a transitional, but still fiery, time for him and I'm eager to hear what he cooked up with Larry Young (organ), Buddy Miles (drums), and Billy Rich (bass). I made my way around the store, finally ending back up front to investigate that progressive rock section. Even though it was small, there were some very intriguing items in there, including Univers-Zero's UZED from 1984, which I've actually never seen in physical form before. It was $50 but taking a picture was free - as is listening on Spotify. The same cannot be said for what I found next, a pristine copy of Listen Now!! by Phil Manzanera/801. As its from the peak of British art rock (1975-77) and Eno is on it, my hopes are high. The proprietor was surprised to see it, too - he had just sold a copy the other day and hadn't realized there was another one in stock. Even if you don't have college-age children there are many reasons to visit Williamstown, such as The Clark, the college's own art museum and the Theater Festival. If you have an interest in the outré - or jazz and R&B, for that matter - make sure you stop your trolley at Toonerville next time you're there. 11. Hélène Grimaud - Water Grimaud is a chance-taking pianist who has mainly applied her iconoclastic POV to basic classical repertoire. But Water is something else entirely, an eclectic collection of works spanning the centuries, from Berio and Takemitsu to Janacek and Liszt. She proves herself the master of all she attempts, playing the spaces between the notes as required by Takemitsu and Fauré, or showing great command of filling all the spaces with notes as Liszt demands. To pull it all together, Grimaud collaborated with atmospheric composer Nitin Sawhny to create brief electro-acoustic interludes, which are beautiful little sketches in sound. This is my favorite kind of classical piano album, one which makes you hear old pieces anew, and it's been go-to morning music on many a day. Invite it into your life. 12. Anthony Cheung - Dystemporal In a perfect world, a sparkling collection of six compositions by Cheung, brilliantly performed by Talea Ensemble and Ensemble Intercontemporain, would be a major event beyond the confines of my own mind. No matter - the music speaks for itself and it is entrancing post-Boulez stuff, with uncannily perfect orchestration and a stylish melodicism that should welcome any listener. The title piece has a hint of menace and makes me think of a circus, slowed down and grown slightly threatening. Running The (Full) Gamut is a cogent piano solo (beautifully played by the composer) that is an ideal introduction to Cheung's strong sense of structure and proportion. Start there if you want to ease your way into Cheung's world and make it part of your own. 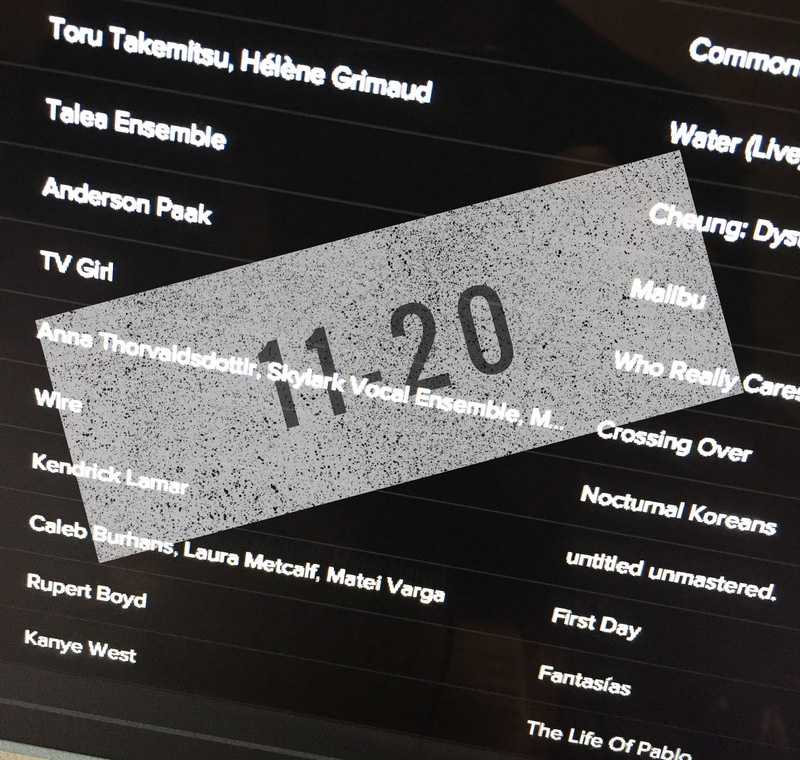 Save the date of November 11th for the record release concert at National Sawdust. Maybe then Dystemporal will become the event it deserves to be. 13. Anderson Paak - Malibu I gotta tell you - I thought Dr. Dre's Compton was horrible, with even young guns like Paak being drawn into Dre's stodgy and smug conception. So I admit not having high hopes for Malibu, even though his prior album, Venice, had shown great promise. But no worries - on the sprawling Malibu Paak comes on strong as the missing link between Marvin Gaye and Kendrick Lamar, with a little Flying Lotus in there for good measure. This is lush and luxuriant R&B with a hip hop edge, up to the minute but sounding classic all the same. Right from the first cut you feel like you're in good hands. All the guests, from BJ The Chicago Kid to Rapsody to Talib Kweli, are well-integrated, leaving no doubt as to who is in charge. Room In Here is the coziest slow jam in many a year - even The Game sounds ready to cuddle - and, lord knows, we can always use more opportunities to get close. 14. TV Girl - Who Really Cares How do I love thee, TV Girl? Let me count the ways, with your hip hop beats, bittersweet samples and melodies, and your conversational, psychologically acute lyrics, it's hard to get enough! Is it a formula? Sure, like your relationship with your best friend is a formula. And it works just as well. 15. Skylark - Crossing Over An album of contemporary choral music about death? Let's just say this is an unlikely triumph. 17. Kendrick Lamar - untitled unmastered Like the Wire album, these are all cuts that didn't fit on Lamar's last album, 2015's To Pimp A Butterfly. While I can see how they didn't fit the narrative construct of that titanic album, they are still a stunning tribute to Lamar's creative fecundity. Over expansively funky tracks he tries on a few new guises here, such as the love-man of the opening cut, or the retro-didacticism of untitled 03 05.28.13: "What did the Indian say?" It's like Reading Rainbow in some alternate universe - and I doubt anyone but Lamar could get away with it in 2016. I'm on the edge of my seat, wondering where he'll go next. 18. Laura Metcalf - First Day The other great cello record this year. 19. Rupert Boyd - Fantasias 2016 seems to have more than its share of "Calgon take me away" moments and this delightful travelogue works better than bath salts. 20. Kanye West - The Life Of Pablo That so many people think West is a relentless jerk is one of the artistic crimes of our age. I don't pay attention to his antics - what matters it what's on the records. Granted, Pablo had a more difficult and public birth than most albums (remember when it was going to be called Swish? ), and one that would have crushed the life out of most artistic endeavors. But West powered through and got the music off his hard drive - although he's famously been tinkering with it since it came out, an impulse to which any artist can relate. Based on the original18 track version I have (there are now two versions on Spotify! ), Pablo is his most fragmented album yet, with many songs under the three-minute mark or taking hairpin turns halfway through (I could listen to the spooky 50 second coda to FML for a lot longer). Even so, there are some "tent-pole" songs that keep the album from collapsing, starting with Ultralight Beam, the gorgeous opening cut, which embraces Kirk Franklin and Chance The Rapper in equal measure, while providing an operating principle: "You can never go too far when you can't come back home again." He then proceeds to test that theory, dishing out some nasty, purposefully provocative stuff. Taylor Swift fans know what I'm talking about - but even Famous has a cutting edge backing track ("Swizz told me to let the beat rock" - good advice). Other standouts are the bittersweet Real Friends, the classic single No More Parties In LA (with a fiery Kendrick Lamar feature), and Fade, a haunting exploration of dying love via early 80's house. That nostalgic touch is a telling sign, as this is the first album where West seems to be looking back, as if trying to trace his path and figure out how it all got so crazy. Don't get me wrong - this is hardly a perfect album; there are clunky choruses, punch lines that land like concrete, and other misguided foibles. But there's something beautiful about the way West just lets it all hang out there, the good, the bad, and the nutty. There's the wonderfully tossed off a capella I Love Kanye, for example - which is probably not what you think it is. And one of my favorite moments is at the end of the reflective 30 Hours, where he's just vibing out to the smooth groove provided by Andre 3000 and Karriem Riggins - "This the bonus track...all my favorite albums got, like, bonus joints like this..." Then he gets a phone call - and takes it! "Yo, Gabe, I'm just doing an ad lib track right now, what's up?" Guy's got guts. So in the end, Pablo is minor masterpiece of audio collage, with enough moments of transgression, regression, and aggression to slot Kanye West - in my mind, at least - near Houellbecq, Burroughs, and even Huysmans. Not really a pop record, but one with pop celebrity as a subject - and one released into the Hadron Collider of one of the globe's most fanatical pop audiences. Can't fault Kanye for cracking a little under that kind of pressure. Kendrick Lamar would probably say he's gonna be alright and I'm inclined to agree. Sample my Top 20 with this handy playlist and keep up with everything else I've been listening to here. What's been making your year? One of my Off Your Radar colleagues recently asked me if I thought this year was as good as 2015 for music. I thought back on my last few weeks of trying to narrow this list down to 20 standout albums and answered "Absolutely!" But I have a secret weapon: classical and contemporary composed music, which occupies six slots on my list so far. Also, 2016 ain't over yet and the second half promises some releases that could blow the year wide open. Beck's dance-pop follow up to Morning Phase should have us saying "Wow" over and over, Scott Walker is dropping a soundtrack in August, and Hiss Golden Messenger has something special coming in October. Also, Pusha T is supposed to come out with the album prefaced by Darkest Before Dawn, which was pretty fire itself, and there are rumors Spoon is in the studio with Dave Fridmann producing again. But that's just tomorrow calling. Ado to the side - let's do this. 1. 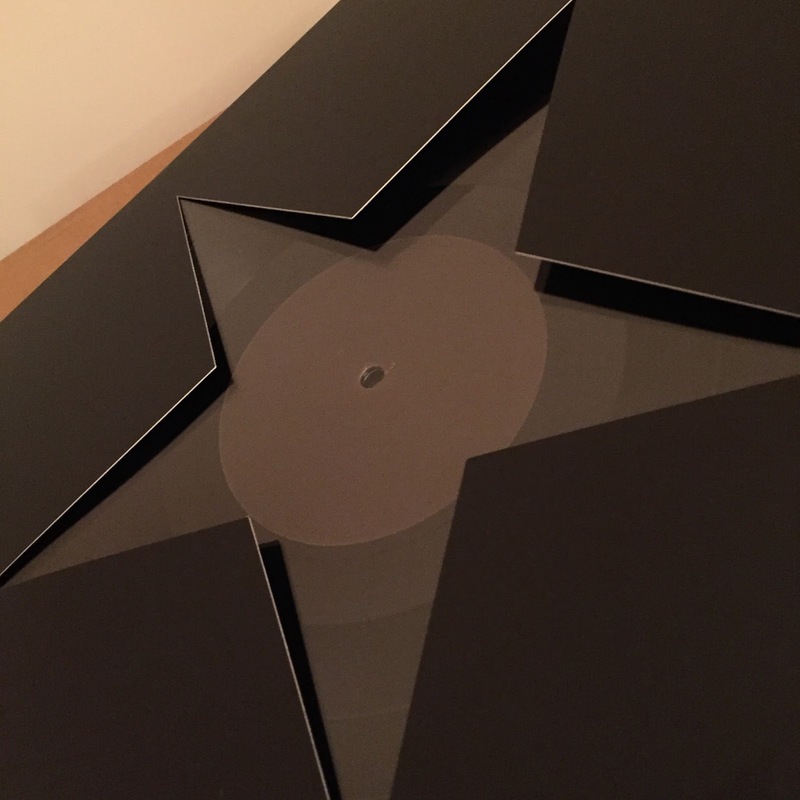 David Bowie - Blackstar I will have more to say about this extraordinary album at a later date (promise) but having lived with it for this long I can safely say this rose's bloom is eternal. Bowie is fully engaged artistically, pushing his voice and songwriting into new areas, and all-in emotionally. If not for the demon cancer, I think the future would have held yet more greatness from the Starman. We'll not see his like again - that is tragically certain. 2. Radiohead - A Moon Shaped Pool The dons of Oxford let the light in. 3. Novelty Daughter - Semigoddess Faith Harding seems to love house, Billie Holiday, and Cathy Berbarian equally - and she put everything she loves into this astonishing full-length debut. Sing hallelujah! 4. Benji Hughes - Songs In The Key Of Animals Life raft of the year award goes to... Unfortunately, based on the so-so live show I saw, it may be Benji himself who is most in need of rescue. 5. Mutual Benefit - Skip A Sinking Stone This gorgeous album is the most fully realized collection yet from Jordan Lee since 2013's Love's Crushing Diamond, which catapulted him from Bandcamp culture to indie notoriety. With rich instrumentation and vocal-free passages, there's a sense of narrative to the seamless sequence of songs. When Lee announced "We're going to play the second side of the album," at Mercury Lounge last month, it made perfect sense. Lee was also savvy enough to include Not For Nothing, a gently swinging song with a classic feel that exists perfectly either in or out of the album. Slow March is also a standout and should be the next single. I'm also happy to report that the live show has grown even more closely aligned with Lee's goals since I last saw him in 2014. Granted that was at an outdoor show but I remember being surprised at how extroverted the music became on stage. This time the mood was perfectly suspended and sweetly leavened by Lee's charming repartee. So see Mutual Benefit if you have a chance - but get the record now. Lee's quietly embroidered take on Americana should be more broadly heard. 6. Michael Nicolas - Transitions The very model of a modern cello record. It's gon' be some dreadhead niggas in ya lobby." I wouldn't get in his way. 8. Cian Nugent - Night Fiction I admit it took me a minute to get used to guitar wizard Nugent's voice, which is a bit quirky and cracked. But the songs kept haunting me and I grew to love everything about this record. Daniel Fox of Girl Band is partially responsible for the production and the sound is glorious, warm and open. Nugent, a master of the slow build, lets the songs take their time, making it easy for a listener to lose themselves within their wending paths. I hope to have an opportunity to hear him stretch out on these songs live when when he plays Baby's All Right on August 7th. 9. Car Seat Headrest - Teens Of Denial After Will Toledo garnered a lot of attention for last year's Teens Of Style, which compiled home (or, more accurately, driveway) recordings made over several years, he entered a proper studio and cut this masterpiece. Storming, multilayered guitars drive each song, with assists from occasional horns and keyboards. Burning with passion, Toledo spins tales of high school and young adulthood as if he was the first to experience those stages of life. Which he was, in a sense, as no one can delineate our own lives until we go through them. The best part is that whether those days are distantly ahead or behind you there are plenty of opportunities to find yourself in the songs of Will Toledo and Car Seat Headrest. Sky's the limit for this one. 10. Field Music - Commontime The Brewis Brothers outdid themselves on this one, their best album since Measure in 2010. Gleeful horn arrangements, strings both lush and austere, clever lyrics, and their funkiest rhythms all come together to make this collection a sheer delight. Even his late purple majesty, Prince, found his toes-a-tapping and tweeted his approval. He's got some DNA in this album as do Steely Dan, The Meters, and XTC. But Field Music have been hoeing that distinctive row for years and us longtime fans are gratified to see them getting more attention. The noisy days are over? Not if you play this - and the rest of this album - at the appropriate volume. 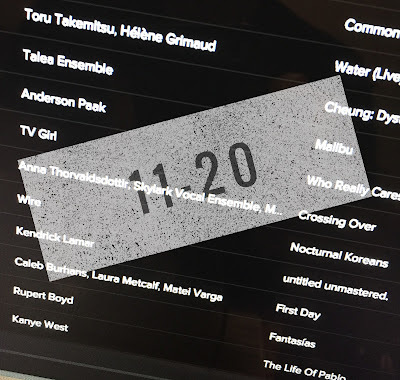 Ten more great records and a playlist are featured in Part 2!